Before recording your second album, you spent some time at Joshua Tree in California. How was your time there? I went out there to get away and to write. I’d been having a hard time writing and had a dream I went to JT and rented a house for a month. The next morning, I rented the first house I found and drove out with as much gear and I could fit in my Prius. I wrote my first song that night, Desert Call. Aside from a solo career, you have also been a member of several bands. These include The Jealous Girlfriends, a band you were in a few years ago, as well as a more recent band alongside fellow members Scarlett Johansson, Julia Haltigan, Kendra Morris, and Este Haim for the first single. How do you navigate keeping each sound for individual projects as separate entities? I don’t think its a conscious decision, you have to let the songs become what they want to be. It’s hard to explain, but I’m influenced by so many different artist.. From Tool to Marvin Gaye to Joni Mitchell. So of course I want to make many different types of music. I love having different projects, they all express some other side of me I need to get out there. 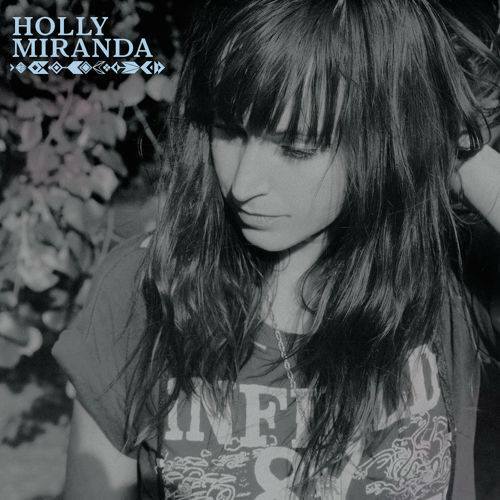 Holly Miranda, your self-titled album was released a little over a month ago. How has the reception been? Can you tell us a little bit about the album? I think the reception has been great so far, but my view point might be a little skewed. 🙂 I think this is by far the most personal record I’ve made to date. I co-produced it with Florent Barbier, and used my band in the studio. I wanted to really make something that sounds like we do live. You have spent a large part of your career and life touring as a musician. Whether it has been as a supporting musician, most recently as a guitarist for Karen O, or touring a solo project, you have traveled to some incredible places. Do you have a favorite city or experience thus far? I would have to say my favorite place to play so far was the Sydney Opera House in Sydney, Australia. I was invited there by Lou Reed and Laurie Anderson who were curating the Vivid festival a few years ago. It was truly an honor to perform alongside Lou, Laurie and a multitude of other incredible talented musicians, not to mention performing on that iconic stage. There was a five-year span of time in between the release of your debut album, The Magician’s Private Library and your self-titled album released in May. How do you feel the hiatus influenced your new album? I needed to take a break and have a life. I was really burnt out, I’ve been doing this for 17 years, more than half my life. I think it influenced my writing to be more personal to reach deeper, which is in part also to just growing up. I just watched your music video for “All I Want Is To Be Your Girl.” Not only is the song wonderfully catchy, but also the music video is really intriguing and pairs well with the lyrics and message! What was the idea behind the video? The idea was to play with the idea of gender and wanting to “be someone’s girl”, I was talking to my friend who teaches gender studies at Oakland University, Lacey Story, and she and I were riffing about that idea, then I wrote a treatment taking it the ideas into this circus theme. I really never thought it would get made, my original treatment had me riding off on a female centaur. What is one thing you wish to accomplish over the next year? I would like to take my band on tour and I would love to get back to Europe for a tour. I would also very much love to play in Mexico or South America, I’ve never been there. This entry was posted in Uncategorized and tagged Este Haim, Holly Miranda, Interview, Joshua Tree, Karen O, Lou Reed, Music, Q&A, Sydney Opera House. Bookmark the permalink.